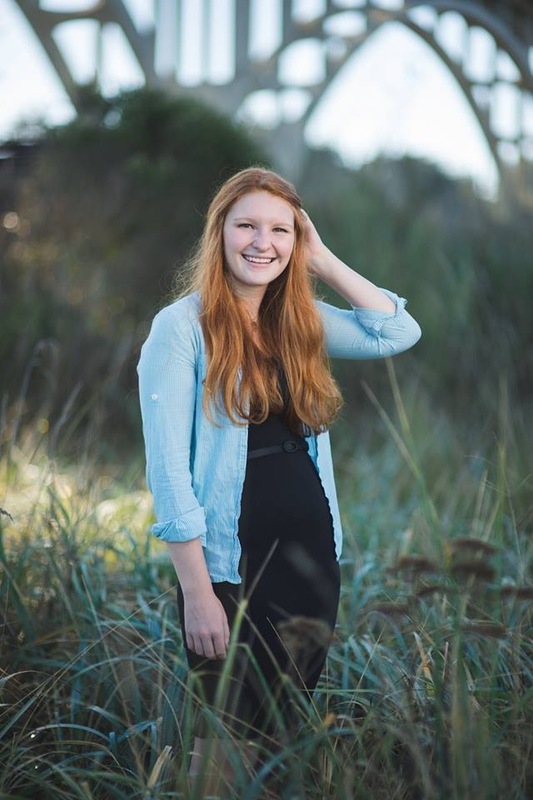 Emily Midyette was awarded one of the Coos Bay Surfrider Scholarships for 2015. Emily Midyette graduated from North Bend High School in June 2015 as Valedictorian. This was huge accomplishment for her as she was unable to read until third grade when her teacher discovered Emily’s eyes could not focus in a straight line. After months of strenuous vision therapy, Emily was able to read! She still had many years of catch-up to do in her education. She was not a straight A student until her first term of high school. When that happened, Emily turned to her mother and stated, “I want to be Valedictorian”. This started her extreme drive to excel in her grades and intellectual pursuit of knowledge. And she capped this off by giving a wonderful Valedictorian speech at her graduation ceremonies that was quoted in the local newspaper. Emily also has a passion for volunteering. This started when she attended Lighthouse Public Charter School and became involved with their many volunteer projects. She joined Key Club, Interact Club, Student Council and many other organizations and clubs while at North Bend High School. She held many offices in these clubs such as President of Key Club and Vice President of her class for two years. She participated in Knowledge Bowl and the Science Club. She was also voted as Miss Flame by the entire school her senior year and the sophomore Homecoming Princess. Emily was a July Jubilee Princess as well as a Mr. Bulldog coordinator. She did an internship while a sophomore at South Slough National Estuarine Research Reserve. She also worked this past summer for the Coos Watershed Association. Emily is currently attending Lawrence University in Wisconsin. She is majoring in Biology and leaning towards minoring in Gender Studies. She plans on doing a term abroad next year and is contemplating going to either Buenos Aires or Madagascar. While at Lawrence, Emily has gotten involved with their garden, knitting, animal shelter and comic book clubs as well as many other organizations. Emily is the daughter of Trish McMichael and Harold Midyette. While at home she helps out at her father’s business, Books By The Bay. She is very thankful for the scholarship she received from Surfriders.